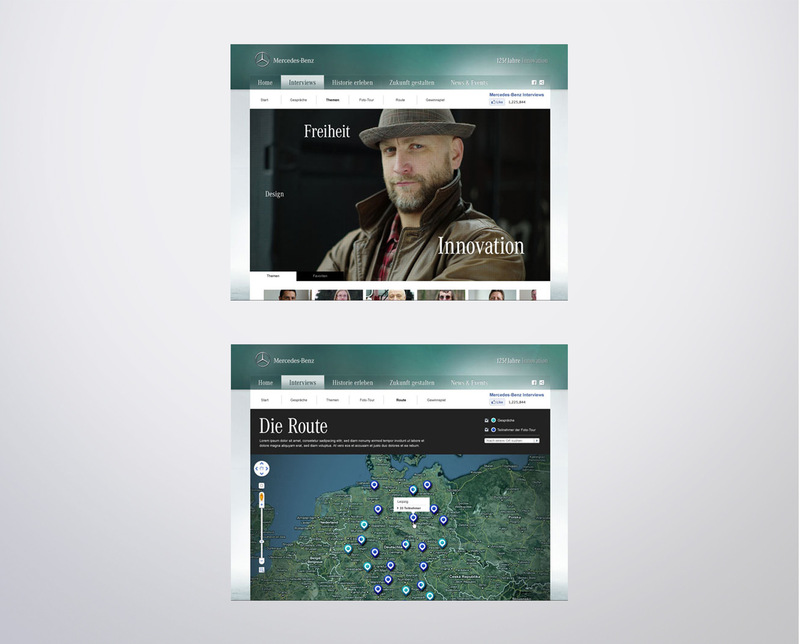 Mercedes Benz sponsored the German version of the highly awarded web documentation by Austin Lynch. In return, Lynch created an interview project for Mercedes Benz, which became a contribution to the 125 years Mercedes Benz campaign. Create a unique brand experience as part of the 125 years Mercedes Benz campaign. The Interview Project Germany won a Lead Award (Bronze). Creative ideas and team lead of the conception team.